In 2002, Max Rubin convinced Barona Casino in Lakeside, California, USA, to establish a Blackjack Hall of Fame. Between 2003 and 2015, there have been 20 inductees in the Blackjack Hall of Fame (including one group induction of four individuals in 2008, see Four Horsemen of Aberdeen). Recognition by the Blackjack Hall of Fame is a paradox: it is the most respected honour in blackjack, but it conflicts with the goal of most blackjack professionals to remain anonymous. The best in-depth description of the accomplishments of Hall of Fame members appears in Arnold Snyder's Blackjack Forum Online. Publication dates of books refer to initial publication. Al Francesco (2003) – Pioneer of team play. Peter Griffin (2003) – Mathematician who pioneered methods for evaluating card-counting systems. Author of Theory of Blackjack (1979). Tommy Hyland (2003) – Superlative professional blackjack player and legendary team blackjack player. Arnold Snyder (2003) – Superlative professional blackjack player and author of numerous influential books and articles, as well as a leading resource among the blackjack community, Arnold Snyder's Blackjack Forum Online. Edward O. Thorp (2003) – Universally respected as the father of card counting. His editions of Beat the Dealer (1962) were best sellers describing basic strategy and card counting methods. Developing his systems as a professor at Massachusetts Institute of Technology (MIT), his books described his initial attempts to use his computer-tested systems under casino conditions. 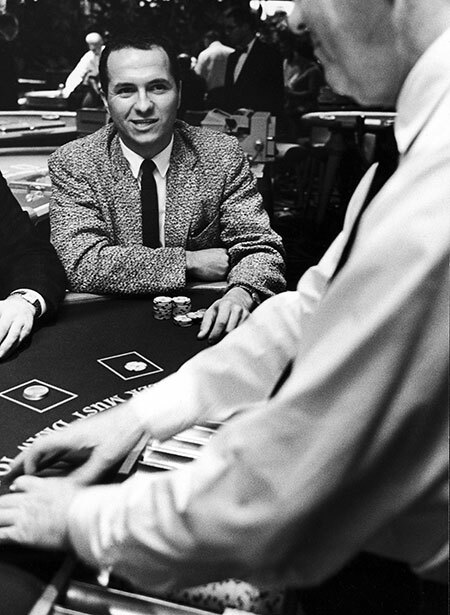 His fame during the 1960s, though viewed suspiciously in the casino industry, was responsible for the permanent increase in the popularity of blackjack. Ken Uston (2003) – Outstanding professional blackjack player and author. His The Big Player (1977) revealed to the general public his casino adventures as a card-counting professional and team blackjack player. Max Rubin (2004) – Founder of the Blackjack Hall of Fame and founder and host of the annual Blackjack Ball. Innovator of team-play strategies. Author of Comp City (1994). 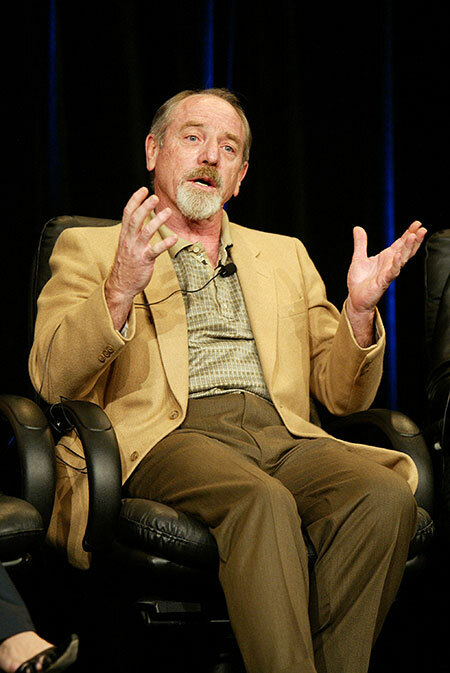 Keith Taft (2004) – Inventor and innovator of blackjack computer devices, decades before the concept of 'wearable computers'. Julian Braun (2005) – Mathematician and computer engineer whose programs where used to develop the leading card-counting systems in the first generation of the computer era. According to Blackjack Hall of Famer Arnold Snyder's Blackjack Forum Online, 'His programs were used to develop all of Lawrence Revere's systems, as well as the Hi-Opt systems. Of the 'pre-Stanford Wong' professional players (the pros playing before the first edition of Wong's Professional Blackjack came out in 1975), most were using either Thorp's Ten Count, Thorp's Hi-Lo, Hi-Opt I, Hi-Opt II, Revere's Point Count, Revere's +/-, or Revere's Advanced Point Count. These were the most popular and widely disseminated systems in use for about ten years, and Julian Braun's programs were used to develop all of them'. Author of How to Play Winning Blackjack (1980). Lawrence Revere (2005) – Pioneering author (Playing Blackjack as a Business (1969)) and developer of card-counting systems. James Grosjean (2006) – Superlative professional blackjack player. His out-of-print Beyond Counting(2000) sells for at least $2,000 per copy. His privately published, expanded version (also called Exhibit CAA, after the exhibit number of the original book in a court case he won against several casinos) is for sale only to people personally known by the author. It is considered the most advanced manual on blackjack play. John Chang (2007) – Superlative professional blackjack player and a manager of MIT blackjack teams. Four Horsemen of Aberdeen (2008) – Roger Baldwin, Wilbert Cantey, Herbert Maisel, and James McDermott. In 1956 and 1957, they published the first accurate basic strategy. This was a landmark in blackjack history, the basis for later strategy systems, and a remarkable accomplishment in mathematics because it was done with the equivalent of desk calculators. 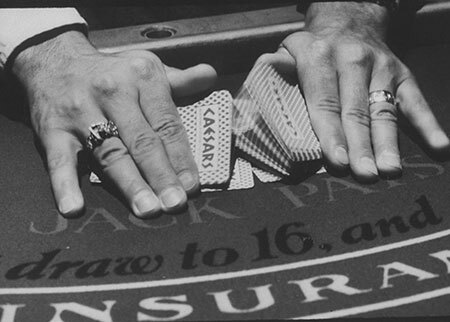 Co-authored Playing Blackjack to Win(1957). Richard W. Munchkin (2009) – Superlative professional blackjack player, author, and analyst. Author ofGambling Wizards (2002). Darryl Purpose (2010) – Superlative professional blackjack player. Zeljko Ranogajec (2011) – Superlative professional blackjack player. Regarded as one of the world's highest-stakes casino players, making wagers variously estimated totalling more than $1 billion per year. Ian Andersen (2012) – Pioneering author of Turning the Tables on Las Vegas (1976) and Burning the Tables on Las Vegas (1999). Robert Nersesian (2013) – Las Vegas, Nevada, USA attorney responsible for representing casino players in landmark decisions against casinos. Don Schlesinger (2014) – Widely acknowledged as a leading analyst and author of blackjack systems and books, most famously several editions of Blackjack Attack (1997). Basic Strategy – The optimal method for playing blackjack without counting cards: when to hit, stand, double, split, insurance, and surrender based on the player's cards and the dealer's exposed card. Roger Baldwin, Wilbert Cantey, Herbert Maisel, and James McDermott (a/k/a the Four Horsemen of Aberdeen) validated the first version of basic strategy in 1956-1957 with desk calculators. Basic strategy varies in certain situations depending on the casino's rules regarding doubling, splitting, and whether the dealer hits or stands on soft 17. 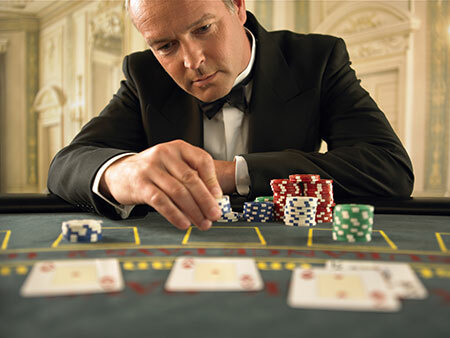 Card Counting – Numerous methods of keeping track of the composition of cards played (and, therefore, cards remaining) in a blackjack deck or shoe in progress. The general theory behind card counting, long validated mathematically, is that a relatively high proportion of aces and ten-value cards (tens, jacks, queens, and kings) remaining are favourable to the player. Basic counting involves keeping a plus-minus count each time a ten-value card appears vs. when a card such as a three, four, five, or six-value card appears. Card counting systems become more complex when they incorporate aces, deck penetration, differing values of particular cards, and betting levels. The goal of card counting systems is to identify when a deck or shoe is favourable or unfavourable and adjust betting amounts (and occasionally basic strategy) accordingly. In practice, the strategy of dramatically changing betting levels is tempered by casinos' suspicion of card counters. Team Play – Where groups of blackjack players maximise favourable situations by having players betting small amounts and keeping running counts at multiple casino blackjack tables. When the composition of unplayed cards strongly favours the player, they signal a 'big player', who moves among tables placing large bets. 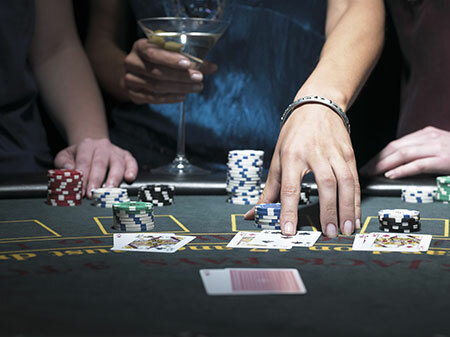 Like other methods depending on card counting, the deception involved in team play is unquestionably legal but still discouraged by many casinos. 21 (movie, 2008) – Film based on Ben Mezrich's Bringing Down the House, a fictionalised version of the experiences of the MIT Blackjack Team. Beat the Dealer (book by Dr. Edward O. Thorp, first published in 1962) – Bestselling book about blackjack basic strategy, card counting, and Dr. Thorp's experiences testing his academic theories in casinos, accompanied by experienced casino players who provided advice and bankrolled the research. The Big Player (book by Ken Uston, 1977) – The first book revealing to the public the secret world of card counters and team blackjack play. Combined Uston's strategies and analysis with casino adventures. Bringing Down the House (book by Ben Mezrich, 2002) – Bestselling book based on the experience of the MIT Blackjack Team. Generally characterised as a work of non-fiction, it does include changed names, invented dialogue, composite characters, and altered descriptions of events for storytelling purposes. The basis for the movie 21. The Hangover (movie, 2009) – Comedy about a bachelor-party weekend in Las Vegas. Includes a scene in which Alan (played by Zach Galifianakis), contrary to his generally comic behaviour, brilliantly plays blackjack, counts cards, and wins big. Heat (movie, 1986) – Action-adventure film starring Burt Reynolds as a bodyguard in Las Vegas. Features scenes of Reynolds winning and losing big at blackjack. Based on novel and screenplay of famous screenwriter William Goldman. Rain Man (movie, 1988) – Critically acclaimed film starring Dustin Hoffman and Tom Cruise. Won four Academy Awards in 1989: best picture, best original screenplay, best director (Barry Levinson), and best actor (Hoffman). Story concerns a cross-country journey of two brothers, with Hoffman as an institutionalised autistic savant and Cruise as a selfish, abrasive man previously unaware of his brother's existence. 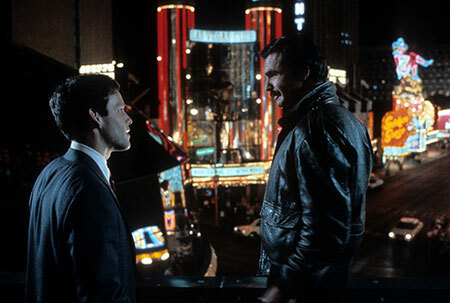 They stop in Las Vegas, stay in Caesars Palace, and Raymond (Hoffman's character) uses his mathematic and mnemonic skills to win at blackjack. Don Johnson, CEO of a developer of computer horseracing systems, won $15 million at blackjack between December 2010 and April 2011. The losing casinos were Tropicana ($6 million), Borgata ($5 million), and Caesars ($4 million), all of Atlantic City, New Jersey, USA. Because of the size of his action, he negotiated favourable playing conditions from the casinos: a 20 percent discount on losses, ability to bet up to $100,000 per hand and split and double up to 4 times, and a requirement that dealers stand on soft 17. 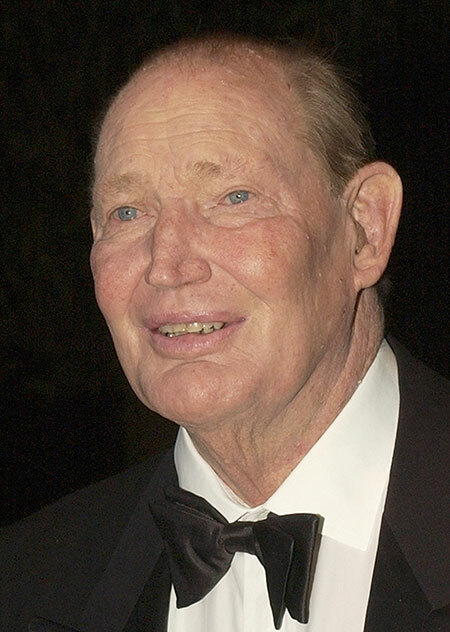 Kerry Packer, Australian media billionaire was known as 'King of the Whales' in casinos around the world in the 1990s and 2000s. The stories of his biggest wins and losses are generally unverifiable but only as to particular details. In 1995 or 1997 (or perhaps both), he scored a gigantic win at blackjack at MGM Grand, Las Vegas, Nevada, USA. Playing six hands at $200,000 (or $250,000) per hand, he won between $20-$40 million. (One published report said that the winning streak took place in 40 minutes.) His successful casino play was reported as the cause of Aspinall's closure in 1990. One New Year's Eve in the 1990s at the Las Vegas Hilton, he won $8-$10 million at blackjack, dropping the casino's annual earnings enough to cost executives their annual bonus. He was also known for bestowing extravagant tips, which has been confirmed by casino executives after his death in 2005. He once left a tip at The Mirage for $1 million. On at least one other occasion, he asked a cocktail waitress to return with the outstanding balance on her home mortgage (which turned out to be $150,000) and he paid it. Because of the suspicion with which casinos treat blackjack professionals, successful blackjack players generally shun publicity and recognition, a practice that makes it difficult to verify their accomplishments – or even their identities. For example, bestselling player and author Ian Andersen (Turning the Tables on Las Vegas, Burning the Tables on Las Vegas) is completely unknown. For nearly 40 years, he has used a pseudonym in his writing. His picture has never appeared publicly. Even top professionals and 'insiders' in the blackjack community have no idea what he looks like or even his name or how to contact him. Australian blackjack player and sports bettor Zeljko Ranogajec is reputed to be the world's biggest casino player. His total annual wagering has been estimated at approximately $1 billion per year. James Grosjean, a superb blackjack professional and theorist, is one of the hottest commodities in publishing. His one book, Beyond Counting (2000), sells for at least $2,000 per copy to book collectors. He subsequently privately published a much-expanded edition, also known by the title Exhibit CAA, after the exhibit number of the original book in a court case he won against several casinos. He supposedly sells it only to people personally known or introduced to him by trusted sources. Since 1997, Max Rubin has hosted an annual Blackjack Ball. Taking place at a secret location, it unites the world's elite blackjack players in an evening of conversation and competition, along with selection of a new member of the Blackjack Hall of Fame. (Photographs not allowed.) Attendees compete, in a rigorous series of tests of technical knowledge, card-counting skill, advanced strategy, and history and trivia for the coveted Grosjean Cup. The prize was so named because Blackjack Hall of Famer James Grosjean won the event three times and was subsequently banned from competing. Second prize is named the Munchkin Award, for Hall of Famer Richard Munchkin, who finished second in the competition three times before he, too, was banned. This is technically a misnomer. There were several MIT Blackjack teams, and they were generally not composed of MIT students. (Most undergraduate students are too young to legally play in United States casinos.) Over a period of many years, there were several teams (sometimes simultaneously, sometimes generally unaware of each other's existence) of blackjack players formed in the Boston, Massachusetts area. Because of the discipline and intelligence necessary for organizing and running a blackjack team, several managers and initial members were MIT graduate students or former students. The informal means of recruitment led to other graduate or former students participating.